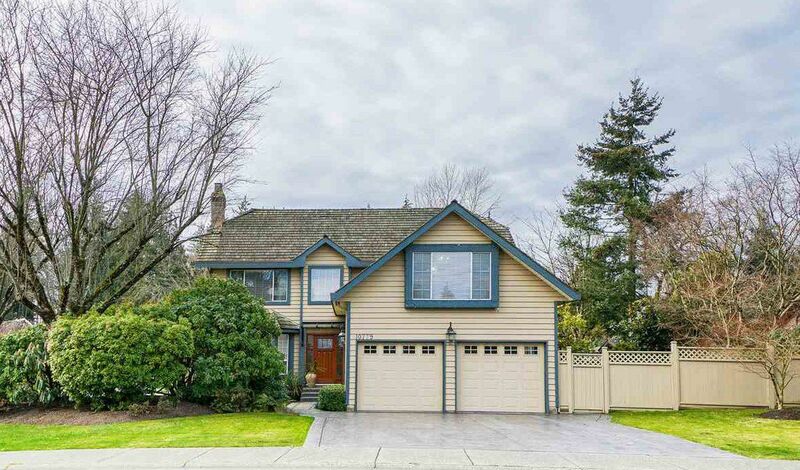 This exciting Fraserglen two storey has been beautifully updated and maintained. The many features include a high end island kitchen by Suncrest Cabinets, Pro grade appliances , granite counters, a super floor plan,3 updated bathrooms including a fantastic ensuite,newer hardwood flooring, in ground sprinklers, 2 fireplaces, a newer hotwater tank, a newer wood roof, new laundry appliances and cabinetry, fresh paint and 4 bedrooms plus a games room up. The large professionally landscaped yard features: a stamped concrete patio, driveway and walkways; a unique waterfall, custom lighting and mature plantings.. Check out the great street appeal and terrific location close to schools , recreation and shopping and call today! Hurry!